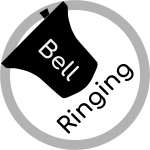 b) To promote life long learning in ringing both for individuals and teams and the development of support mechanisms for ringers and bands of all abilities. Foster the recruitment and retention of ringers. d) To support the Executive’s efforts to develop strong relationships with key partners. e) To encourage the adoption of complementary communications strategies by ringing societies. a) To develop and manage a comprehensive historical and reference resource relating to ringers and all aspects of ringing. b) To make these resources as widely known and appreciated as possible within the ringing community and more generally. a) To maintain and publish for the Council authoritative reference standards for change ringing. b) To ensure that authoritative records and analysis of published methods, published compositions and significant tower & handbell peals are available. c) Where requested to provide guidance on methods, compositions and aspects of ringing theory. d) To promote innovation and interest in the theory of ringing and the use of technology to support ringing. support the Council’s work and the objectives of its other Workgroups and Stewards. to support individual ringers and ringing societies where this will deliver significant benefits to the ringing community. What is the role of the workgroup? We will also work in conjunction with the other workgroups to provide communications and marketing support in delivery of the Council’s strategic objectives. We will do this by building on the activity undertaken by the former Public Relations and Publications committees. Who is in the workgroup? The workgroup has members of the existing committees as well as some new recruits and in total there are around 20 people involved, all bringing different skills and experience and lots of ideas! The priority for the workgroup since Lancaster has been to maintain activity that was already in progress such as the Ringing Remembers campaign, social media activity and distribution of publications. In addition, the members of the workgroup have been taking stock of the assets and information in place already. The workgroup have started to establish a strategy for internal and external facing communications, exploring existing and new communications channels and opportunities for future campaigns and promotional activity. Initial investigations have taken place for funding options to support our activity. The workgroup will operate in an agile way, leveraging technology to facilitate our activity in addition to face-to-face meetings as required. Following a meeting with the Executive in early July, the communications strategy and plan will be finalised. We aim to quickly develop a plan of how we will support the activity across the other workgroups where required. One of the short term goals will be the definition of a brand for the Central Council and bell ringing. We are also reviewing the role of the Council PR Officer and how this can be evolved to support the work of the Council. By mid-July the workgroup will have prioritised activity and assigned owners for delivery of initiatives. It is our intention that smaller focus groups may take ownership for smaller discrete activities. There is plenty of work to be done and whilst we are a fairly large workgroup, we would always welcome new members and new ideas – if you want to be involved, don’t hesitate to get in touch! 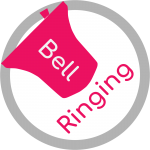 Resources – To maintain and develop the resource of historical information and artefacts relating to ringing, ringers and bells. Accessibility – To make that resource easily available to all. Inclusiveness – To allow as many people as possible to take an interest in and benefit from the study of the history of ringing, ringers and bells. In the beginning, the emphasis is on “Business as Usual” (BAU) tasks and to do these, the workgroup will consist of a number of teams. For convenience at this stage we can call them “Library,” “Biographies,” “Rolls of Honour,” “Peal Records” and “Ringing Machines.” That this workgroup includes three Stewards, with their own resonsibilities and aims, is an indication that BAU is to be a key starting point. The workgroup currently comprises about 12 members, drawn from the old committees and outside. This will be added to as activity levels increase. While BAU tasks are being carried out and research and writing is being done, workgroup members are asked to consider wider issues. Active researchers are well placed to identify common concerns and opportunities. Issues that a central ringing organisation should work on will be added to a list of projects. Between us we will prioritise and allocate / volunteer. The list of projects and their status will be readily available on the Central Council web site. Anyone can comment on them and, more importantly, anyone can volunteer. The key factors are going to be whether an activity is considered valuable or not and if anyone is prepared to do it. National Bell museum – similar in scale to Germany, Saundby has bell frames, need to watch Loughborough. Everyone has a place in History. What will yours be? The Stewardship & Management Workgroup is one of the five workgroups proposed for the reformed Central Council. The group is concerned broadly with all aspects bells and towers (ie the hardware), how bells are installed, maintained and used for ringing. It also includes important aspects of organising and managing towers and ringers. Increasingly, ringers have a duty to establish good practices and comply with statutory responsibilities associated with safety, insurance, data protection. We also need to maintain good relationships with our churches and other owners of the bells that we ring, as well as neighbours and other church users. In broad terms, the group encompasses the scope of four existing Council Committees – Towers and Belfries, Bell Restoration, Redundant Bells, and Tower Stewardship. Clearly, the new workgroup does not operate in isolation and we are already linking with the other workgroups, as well as the Council Executive. For example, in the training of ringers and leaders of ringing (Volunteer and Leadership Development Workgroup), and communicating with ringers and other stakeholders (Communications and Marketing Workgroup). Since the end of 2017, we have invited ringers to join the group, not just members of Council or members of the previous committees. We have met physically, as well as getting to know each other and our activities by phone / Skype. Starting to define and plan how the group will operate has been the focus – the workgroups are key to the reformed Council for the short and longer term. Initially, it is our intention that we will continue the important work that the committees have been undertaking and build further on that. Here I must acknowledge the work that they have done and thank all those who have been involved, some for many years. Many of these people are active participants in the workgroup and we intend to involve more people so that we share the workload and ensure succession. The scope of the workgroup is wider than any former committee so it is impractical to operate as a single entity. We will set out our activities and define specific projects then work on these systematically. We will meet physically occasionally, but also work extensively using on-line systems, emails, telecalls and videolinks. This also saves travel and helps us involve fellow ringers internationally. Workgroup membership is open to anyone who may be interested in aspects of our work. This could be a specific short project or longer term programme of work. We know that there is considerable expertise in Guilds / Associations, and may be duplicating each other. We therefore welcome people to make themselves known to us if they have specific expertise, experience, or professional knowledge that they may be willing to contribute on an occasional basis, but without being a full member of the workgroup. If you have any questions or are interested in joining the group, then let me know. The Technical & Taxonomy Workgroup is part of the new organisational structure of the Central Council established following its AGM in May 2018. Its role is to promote innovation and provide guidance on methods, compositions and aspects of ringing theory; maintain and publish authoritative reference standards for change ringing; and provide technical services to the Council and ringers generally. This encompasses the activities that were formerly undertaken by the Methods Committee, the Compositions Committee, the ICT Committee and the Dove Stewards. It will also be responsible for the ongoing maintenance of the Framework for Method Ringing once adopted by the Council. The work of the Peal Records Committee, originally proposed for inclusion in this workgroup by the CRAG report, has been included in the History & Archive workgroup. Technology that is related to ringing hardware, such as bell and simulator infrastructure will be addressed by the Management & Stewardship workgroup. The Council’s official methods collections, for many years maintained on behalf of the Methods Committee by Tony Smith, are now maintained by the workgroup using Composition Library (http://complib.org) – a website database that is directly accessible to ringers, who can quickly search for methods using a wide selection of criteria; displaying the blue line, properties and related methods. First and long length performances in each method are listed and linked directly to BellBoard where data is available. Compositions – be they touches, quarter or peal lengths can also be found on the site for most methods. New methods can be added privately to obtain the correct classification and title, and warnings are given if there are potential naming conflicts. In addition, the latest collections can now be downloaded directly from Central Council web pages (http://methods.cccbr.org.uk) and are now provided in Microsiril format as well as Text and XML formats. The workgroup’s activities are being planned as a series of projects and services each supported by its own team of volunteers. Roles are being identified for each team and volunteers will be recruited specifically for the skills and enthusiasm needed to fill them, and just for the period required, rather than seeking general volunteers for the workgroup without specific roles in mind. This will be better for individuals and more efficient and effective for the Council. As new teams are formed, roles will be publicised to enable anyone interested to apply. Some teams, such as the Dove Stewards, are already aligned to this style of organisation, so minimal change is anticipated. The Council’s website and email systems are being updated in support of the recent organisational changes and the needs of the new Executive and workgroups. The team established to draft the Framework for Method Ringing that will replace the Council’s Decisions on peal ringing and methods is currently processing feedback from the ongoing consultation. The team of Dove Stewards is continuing its project to migrate the Dove database to a new system that will provide long term assurance for the data and allow a larger team to maintain the data directly. a project to provide assurance that, for all digital resources that are valuable to the ringing community (whether provided directly by the Council or third parties), appropriate measures are in place to protect data and software, ensure continuity of service, and provide succession for the future. We are also developing ideas to adapt to the changing needs of conductors and composers in a digital world, for example to find the composition ideally suited to a band from the huge number now available, to help composers avoid “reinventing the wheel”, and to support those conductors who want to ring an observation bell that isn’t a heavy tenor. In addition, we will endorse initiatives that encourage a wider interest in methods, such as Project Pickled Egg. The Council through its Executive and other workgroups will also have new initiatives to pursue such as a direct membership channel. The workgroup will support the selection of systems and provide design and development services if needed. 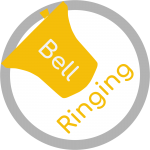 The Technical and Taxonomy workgroup plans to be proactive and creative in providing and improving technical services for ringing and is happy to collaborate with other individuals, workgroups and organisations to achieve this. If you have any ideas for new services or projects you believe would be useful, and particularly if you think you have the skills and enthusiasm to help deliver them, please get in touch with the workgroup leader, Graham John. What is the Volunteering & Leadership Development Workgroup, its role and mission? The Volunteering & Leadership Development Workgroup (V & L) is one of the five workgroups operating in the reformed Central Council (CC). The group is concerned broadly with people development and our mission is: To mobilise bell ringers to create and develop for themselves the teams, knowledge, resources and skills to enable ringing to flourish. The group is not an amalgamation of previous Council Committees. Some earlier work from Education and Ringing Centres may continue if people join the group to carry things on. The group aims to develop new work and projects in areas that might not have come under any previous CC Committee. So we are looking at some fresh starts. We existed in shadow form until May. The V&L liaison group (leaders & executive sponsors) was however, closely involved in the work following recruitment via Ringing Remembers (RR). For example V & L got the RR project going in the very early days before a more formal leader and team was appointed, and David Smith wrote the first database. This got the mutual understanding between V & L and the shadow executive off to a flying start. In the short term we are seeking volunteers to work in V&L . Please do: you can make a difference. To create a practical programme, the Workgroup will assess the offers of help that are made before confirming what can be implemented. We have already had discussions with some very talented people who, after confirming their roles, will operate either singly or in teams on a number of projects. More are certainly needed. Some helpers may never formally join the workgroup but will help on a particular project. The workgroup’s medium term activities will be planned as a series of projects and services each supported by its own team of volunteers. We will set up teams with roles and seek volunteers with the skills and enthusiasm needed. Some will be just for a period required. We are not planning to seek general volunteers without specific roles. As new teams are formed, we may publicise as necessary to anyone interested. We will continue to see the Education Column articles from David Smith in the Ringing World – series 4 is currently being developed. Also we are promoting a series of interviews with inspiring ringing leaders. Elva Ainsworth has done all the interviews so far, for publication in The Ringing World. The series will be part of a leadership theme which, as mentioned below, is a key priority for this group. The new approach started last year when members of the Education Committee and the shadow V & L workgroup arranged for the Central Council ‘Simulator Day’ to be held at the same weekend as the ART AGM/conference in Royston in March. This event showed the cooperation between ART and CC that is so crucial. Using Roger Booth’s creative ideas, we put together a group of non CCCBR experts who are now taking forward a number of related events and projects. We were working with ART on planning and social media on this event. Retention as part of recruitment. We intend to encourage and develop services in the area of Youth (younger ringers and university societies) for example to provide support to university societies. We want to see an expansion in services to develop Leadership: this means training and promotion, in conjunction with ART. The people who join us and other groups we cooperate with will largely determine whether that is in the form of expanded numbers of workshops, publications, blogs, networking discussions, or articles in the Ringing World – or a combination of these. Given the overall need to recruit and retain a very large number of ringers we seek to encourage and promote new ideas. Many consider that this may mean different structures that make it easier for new ringers to feel part of something. We have to make sure we get good cooperation – among the new Workgroups and with others that are doing relevant work. We need strategic partnership with ART because they are a pre-eminent group in our area of “people development”. We can’t do this work without them. We don’t want to duplicate what they do – for example Learning the Ropes is up and working and we do not want to create a rival system. We will work in cooperation to cover any gaps. We are not trying to do everything. Let’s take Recruitment & Retention as an example of cooperation with other workgroups. Communications & Marketing has an explicit aim to : Foster the recruitment and retention of ringers. That may mean to publicise, advise on PR campaigns etc. Meanwhile Volunteering & Leadership Development ’s role is implementation (eg follow up on individuals, help and advice on interpersonal and softer skills, leadership, motivation, balancing needs in a band etc). So workgroups will cooperate to attain a common goal, without rigid lines of demarcation. We are not going to be a committee. Our style is going to be about creativity, giving people space and sharing excellence among practitioners. We should “notice and encourage”. This is not a “top down” movement. The Workgroup are looking for people to run things in a devolved manner. We will not have many large group meetings. Communication in the group is likely to be largely by email, similar e-systems and phone / video calls. This group is aiming partly to provide, but mainly promote new services. We intend to encourage ringers to find and arrange the right structures and to promote people development to allow ringing to flourish. We are not experts but do want talented practitioners to join. We are not going to interfere but would like to draw attention to things that people find are making a difference. We do not need to be doing everything from the group, but by working with others we can be most effective. Ideas for new services or projects are welcome. We would love to hear from you if think you have the skills and time to help deliver them.